Nancy (Bergenty) Guimond, 56, of Plainville, passed away peacefully at her home, surrounded by those she loved so dearly on Thursday, April 4, 2019. Nancy, who was taken from us far too soon, fought her brief battle with cancer just as she lived, with grace, dignity, and selflessness. Born in New Britain on Aug. 28, 1962, she was one of six children to John and Audrey (McLellan) Bergenty. Raised in Plainville, she was a 1980 graduate of PHS, where she met the love of her life and soulmate, Kelly, whom she would marry three years later. They settled in Plainville, where they raised their three loving children and Nancy with her nurturing spirit, became a second mother to every child she interacted with. She treasured every moment of her more than 20 years working alongside children with special needs in the Plainville School System, with whom she created that same caring, maternal bond. When school was out, it was sun worshipping time! Nancy and Kelly were on autopilot to the beach every weekend or poolside, where she could be found many days floating with a good book, waiting for the backyard BBQ’s and fireside chats to commence when everyone got out of work. She then turned into the ultimate hostess, opening her home to her friends and family with an ear to listen, a warm compliment or a joke to share. Her infectious laugh (usually after one of her famous digs!) could be heard throughout the neighborhood. Nancy was a true gem, whose impact was boundless in her short time with us. She will be missed immensely, but certainly leaves this world a much better place. In addition to her parents, she leaves her husband and best friend, Kelly; their children, Evan and his girlfriend, Lindsey Allario, Tyler, and Meghan Guimond; her brothers and sisters, John Bergenty and his wife, Elise, Laura Sycz and her husband, Kenny, Darlene Benson and her husband, Kurt, Robert Bergenty, and Darren Bergenty and his longtime companion, Carrie. Nancy was blessed with a second family with whom she was very close; her mother- and father-in-law, Patricia and Roger Guimond; her brother-in-law, Jeff Guimond and his wife, Debbie; and many adored nieces and nephews. 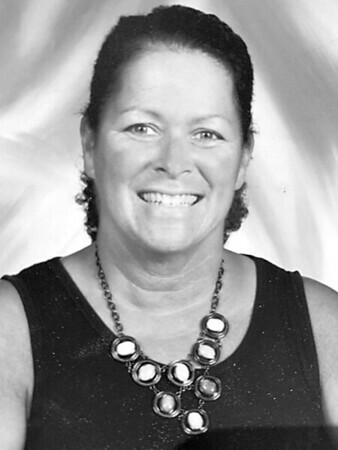 In lieu of flowers, Nancy may be remembered with contributions to the Plainville Family Resource Network, c/o Donna Cavallaro, Linden Street School, 69 Linden St., Plainville, CT 06062. Family and friends may gather in celebration of Nancy’s life on Sunday, from 1-4 p.m. at Plainville Funeral Home, 81 Broad St., Plainville. Words of Remembrance will be shared at 4 p.m. For online expressions of sympathy, please visit www.PlainvilleFuneralHome.com . Posted in New Britain Herald, on Thursday, 4 April 2019 18:28. Updated: Thursday, 4 April 2019 18:30.